The Competition is open to clarinettists of all nationalities born after April 1, 1984. - Application fee of 98 €. Payment only by credit card directly on the competition website. This charge cannot be reimbursed under any circumstances. When inscription is complete, the candidate receives a confirmation by mail. Competitors are expected to use the original musical scores of the works they perform. The Debussy International Clarinet Competition cannot be deemed responsible for any fraud that might be committed by a competitor in this field (such as the public use of illegal copies). If the requested programme is not performed, the competitor will be disqualified. The competition consists of a preselection on CD audio support, 2 eliminatory rounds and a final test, accompanied by a string quartet and an orchester composed of musicians from major orchestras in Paris: Radio France, Opéra de Paris, Orchestre de Paris. All rounds to Paris are open to the public. (postmark date validates), with a photocopy of the competitors identity card or passport, or any other equivalent official document of identity. It must be accompanied by a letter countersigned by the above-mentioned musician and confirming the authenticity of the recording. The Debussy Competition offers 3 official prizes, special prizes and presents amounting to over 23.500 €. Competitors will be informed of the details of the different awards before September 1, 2013. Several professional engagements may be proposed to the winners after the conclusion of the competition. Competitors will be expected to receive their awards personally. A list of successful competitors shall be posted on our website www.concoursdebussy.com on January 2014. Competitors selected after the preliminary auditions will receive notification of the scheduled date, time and place of their rehearsal with piano. Little groups of competitors will take it in turns in an alphabetical order starting with the letter that will be pulled out of a hat, this will be in the same order for the following three rounds. An overall draw will be organised to determine the order in which candidates will perform throughout the competition. Competitors must confirm their presence upon arrival and is to register personally at the central competition office. In case of cancellation candidates are requested to inform the organisers even if at the last minute: info@concoursdebussy.com. Should a competitor arrive late with acceptable reasons, the President of the jury will have the sole decision as to accept or not the competitor. Rehearsal rooms will be available to candidates from Monday 21th April from 10 am and throughout the period of the competition. The competition organisers will provide a schedule to ensure equal use of rehearsal rooms. The Debussy Competition shall place official accompanists at the disposal of the candidates for the 2 recitals. One rehearsal by round is offered. Additional rehearsals shall be possible at the candidates own expense depending on the accompanists availability. Candidates may be accompanied by accompanists of their choice, at their own expense. The 3 finalists will have a rehearsal with string quartet and orchestra on April 26. The appointment of the Jury members is the sovereign responsibility of the Artistic Committee of the Competition. Members are chosen for their international renown in the music world, regardless of any racial, ideological, political or linguistic considerations. The composition of the jury may change if one of the members is unable to participate. 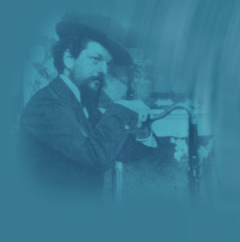 The Debussy Clarinet Competition imposes a strict set of regulations on Jury members, including several general rules and differentiated voting procedures according to the various stages in the competition. The Jury’s decision is final and incontestable. Evaluation criteria: musical interpretation, technical expertise and artistic personality. The results are announced after each round by the president. Should a competitor not succeed, he or she can consult the President and or other members of the jury for advice after the semi final and final. Candidates will pay their own travel. The parents' association of Paris conservatory gives the opportunity to the candidates who wish it to stay for free with a host family, subject to room availability, or to be accommodated for a low price in a student room. This offer, in accordance with the subscribing order, is valid from 22st April evening until 28th April morning. The Competition organisers have the right to record all or part of the competition using photographic or video technology, for advertising, archives, television, internet or radio broadcasting in accordance with the rights of French musicians (article L 212-3, Intellectual Property Code). By his or her application form, the participant acknowledges acceptance of the participation and competition conditions as well as the decision of the pre-selection jury and the competition jury as binding. There is no right of appeal. In cases of doubt, the original French text of the competition is legally binding.